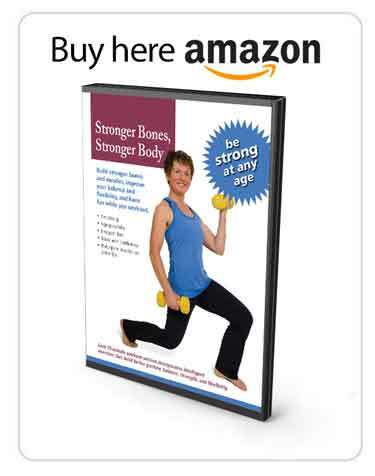 The Single Leg Wall Squat with Ball is a strength exercise from the Exercise for Better Bones program specifically designed for the Elite Level. It will also strengthen the bones in the hips and spine. This is the elite level strength training Single Leg Wall Squat using a stability ball exercise. Choose a burst resistant exercise stability ball where the roundness of the ball and the inner roundness of your back come together. That’s perfect. If you’re standing straight you’ll feel like the ball’s pushing you away from the wall slightly. At this point you take a half a foot’s length away from the wall and that gets you into a nice position. You’re going to take your breath in and as you come down into your squat you’re going to be exhaling through the squat. Now with the single leg wall squat ensure that you first bring one leg into the center, the other leg is going to be behind you. Breath in, and you come down, close to the 90 degree angle that you’re comfortable with and press back. You can keep your legs behind you or you can keep your leg in front of you. It’s really quite a preference as to what you choose to do. Breathe in, a bit with my leg in front, breath in. I’m going to sit under the ball and press back up. Again, look to keep the middle of my kneecap tracking over my second toe, through the wall and ball squat just as I did with the Weighted Squats, and that’s it for the Wall and Ball Squats. 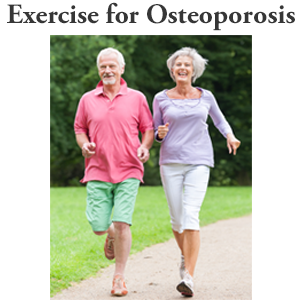 Exercise for Better Bones is an exercise osteoporosis program designed for people like you. It is available for purchase at Amazon in printed book and Kindle formats. 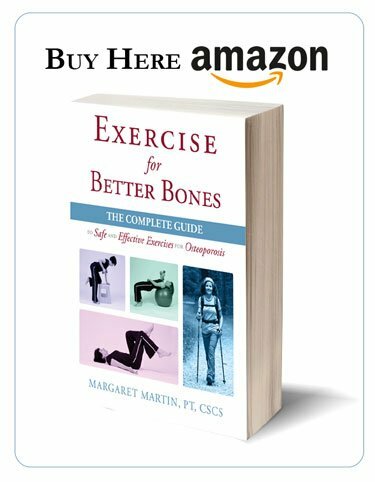 It provides a safe and effective means to strengthen bone, reduce fracture risk, and build confidence. The Program has been successfully used by thousands of MelioGuide clients worldwide. 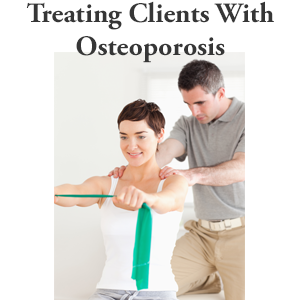 And hundreds of Physical Therapists and Physiotherapists have prescribed the Program for their clients.